The Settings app in Windows 10 aims to replace the classic Control Panel. Microsoft has overhauled the Settings app to include new settings and options. The Settings app includes almost all the settings and options available in the classic Control Panel and some more. In fact, some of the newly added settings and options are available only in the Settings app. For instance, the settings to customize the Start menu or screen are present in Settings app only. In short, Microsoft wants everyone to use the new Settings app in Windows 10 as it’s easier to use. In addition to that, the Settings app, unlike the classic Control Panel works great on touch devices as well. 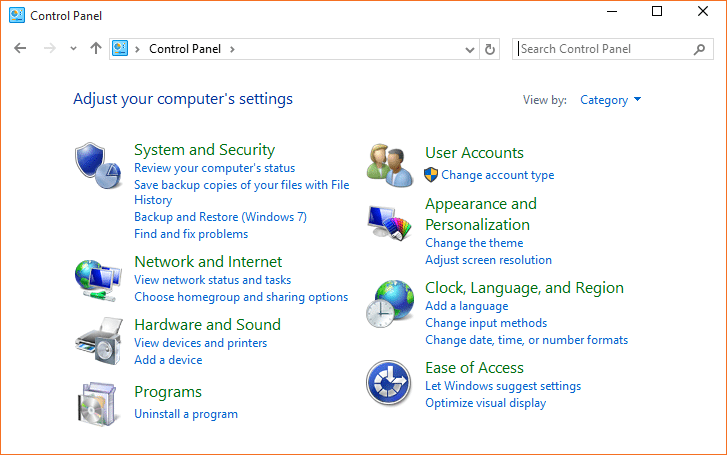 While it’s true that the Settings app is easy-to-navigate and use, long time Windows users always prefer the classic Control Panel over the Settings app while running Windows 10 desktops and laptops. In Windows 10, as said before, Microsoft wants users to use the Settings app to access and change Windows settings. To support this, with default settings, only Settings app is pinned to the Start. 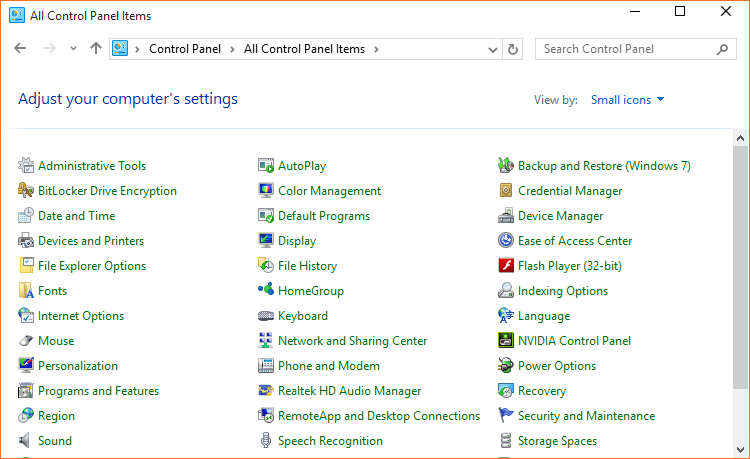 That said, Control Panel is still exist in Windows 10 and is identical to the one in previous Windows iterations. 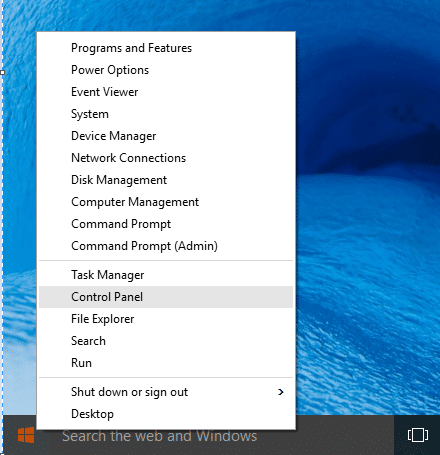 If you prefer using the classic Control Panel over the Settings app, simply follow the instructions mentioned in one of the given below methods to open the classic Control Panel in Windows 10. Step 1: Open Run command box by simultaneously pressing Windows and R keys (Windows+R). 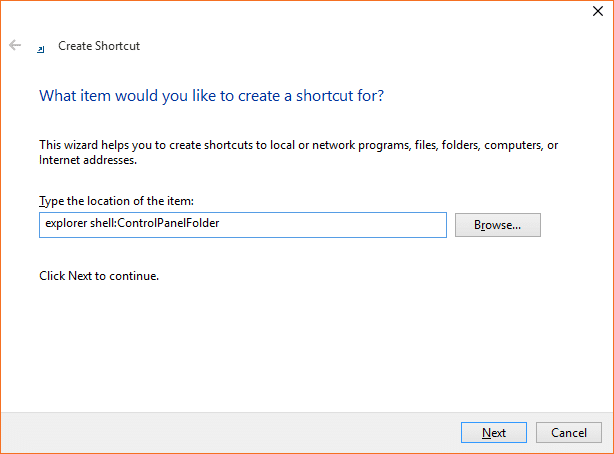 Step 2: In the Run dialog box, type Control and then press Enter key to open the classic Control Panel. 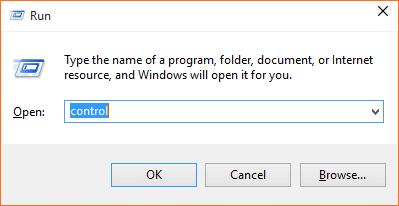 NOTE: This method does not work in recent versions of Windows 10. This is probably the easiest way to launch Control Panel with a mouse. 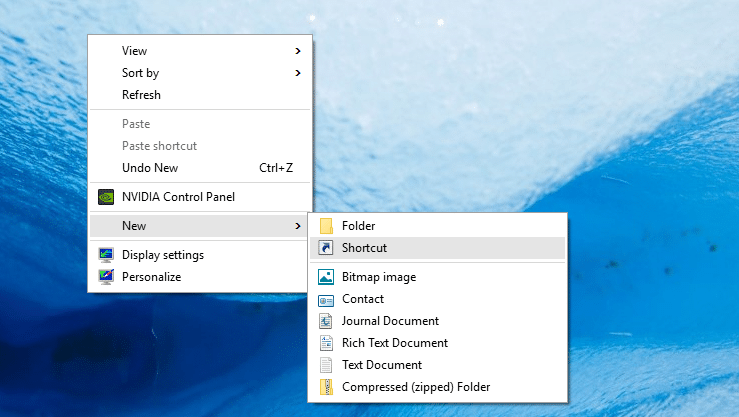 Step 1: Right-click on the Start button (Windows logo button at the bottom-left corner of the desktop) and then click Control Panel to open the same. Step 1: Open Start menu or screen. Step 2: In the search box, enter Control Panel and then press Enter key to open the same. Tip: You can quickly access the search with the help of Windows + C hotkey. Step 1: Right-click on desktop, click New, and then click Shortcut. Step 2: In Type the location of the item box, type the following path. 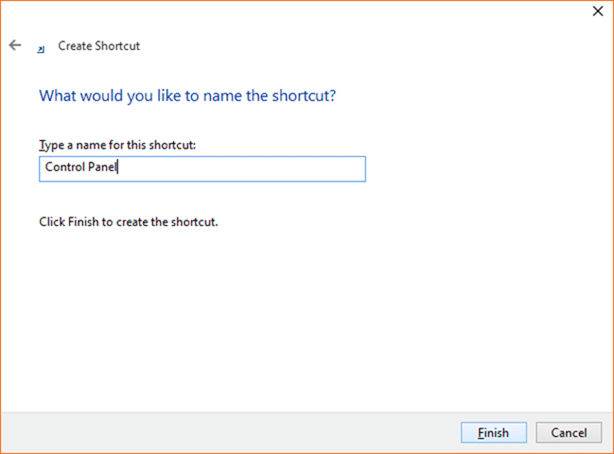 Step 3: In the Type a name for this shortcut box, type Control Panel, and click Finish button. That’s it! You can now double-click on the Control Panel icon on the desktop to quickly launch the same. Step 1: In the Start search box, type Control Panel. 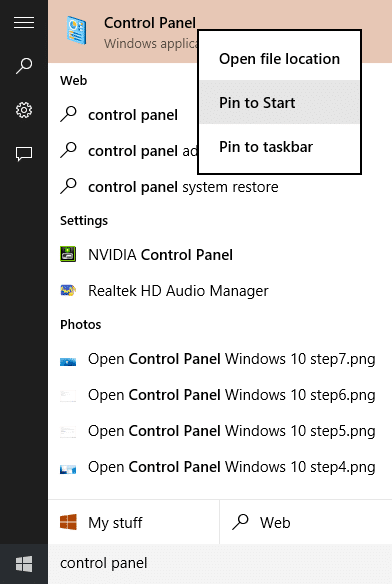 Step 2: When you see search results, right-click on Control Panel entry and then click Pin to Start to pin Control Panel to the Start menu or screen. Step 3: Clicking Pin to taskbar will pin the Control Panel to taskbar! I don’t have windows 10. So get this message off my computer. why does it take 50,000 words to explain something simply, I do not understand, yet at the end I am still confused, I really dislike this types of garbage, if you really want help people then try explaining things succinctly and quickly. Some of us do not have the whole day going through your drivel. Great post. Very nicely set out and easy to follow. It is sad that MS can’t provide proper support. They really want you to use their Settings which I find cumbersome and not intuitive. 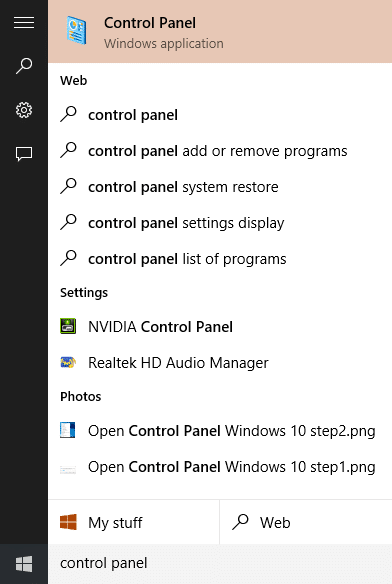 To the point that, it may be my settings, that control panel has at some time been removed from the “Start” right click menu and been replaced with Settings. You might like to double check. Thanks for this helpful post! I’ve pinned Control Panel to my taskbar. I can understand Microsoft wanting to make things simpler, and I can understand them wanting to appeal to phone users by making the interface the same for computers as for phones, but it’s quite amazing to me how happy they seem to be to annoy their existing customer base. I don’t find the settings app easier to use than Control Panel, I actually find it more difficult. Sub-options in it aren’t where I intuitively expect them to be, so even after I find them once I often struggle to find the same option or setting again next time I need it. Also, Control Panel may have been hard to find things in because there was a lot to look through in it, but at least I had confidence that certain types of settings would be there somewhere. With Settings, it feels like a lot of options just aren’t there, or if they are there then they’re not somewhere I can easily find them. For instance, today for some reason my volume control has stopped responding – normally I can right-click on the icon in the bottom right corner of screen and it opens a pop-up to adjust the volume. I don’t want to reboot the computer for something so trivial, it takes too long. In Control Panel, it’s fairly obvious that there will be something listed under Sounds to adjust the volume. In Settings, I couldn’t find a way to get to it from the main menu; if I type ‘Volume’ in the search box in Settings, then yes it suggests something called Windows Mobility Center, and if I click on this extremely unintuitive name then one of the settings I can gain access to does adjust the volume. So they’ve replaced a menu system that worked well with a menu system that only works for some items via a search box. It’s nice to have the option of the search box when you can’t find what you want in the menu, but it’s nicer not to need to use it in the first place. There’s another reason to improve on existing products instead of constantly throwing the baby out with the bathwater. So many instructions and helpful tips on the Web use the Control Panel. Windows 10 does work. But it has so many “wonderful “features” from Microsoft that are supposed to be “helpful”, “intuitive”, or some other marketing-speak word for “Things we DON’T want you to look to closely at because they might annoy you or even piss you off”. I still haven’t gotten the whole Microsoft account / login being the SAME resolved, which means that I can’t download **ANY** apps -free or not- from Microsofts’ app store. Which means I end up looking for my apps from someplace else – which is exactly what Microsoft didn’t want me to do(I’m fairly certain). Microsoft has created, in one single piece of software, both what might be the best OS and the most infuriating piece of software I have ever used. Since I play a LOT of games on my PC, you can be certain that I’ve used some real crapp-tastic software in the hunt for fun games. Change the View by to List to see the list vertically. None of those methods opens the control panel in the “classical’ view, that is, with the choices to display the control panel items as “details” for example, so you can see them vertically, in alphabetical order, something which the brain trust at Microsoft didn’t want us to have for some stupid reason. Alphabetical order HORIZONTALLY is idiotic. Developers can NEVER leave well enough alone, they have the Midas touch in reverse. If I did this to my customers, I’d be out of a job.